Help nurture the seeds of change. By Daylesford Dharma School Inc.
Help seed wisdom and compassion to the next generation of adults to be. Please support Australia’s first Buddhist-based primary school, open to all. 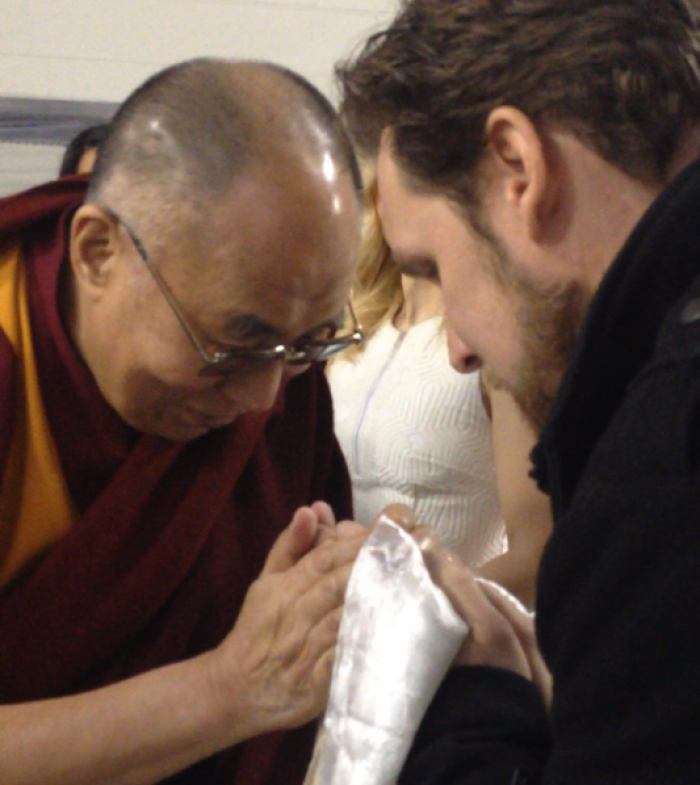 Our School Principal, Joel Hines, receives a blessing from His Holiness the Dalai Lama. We’re the Daylesford Dharma School. The first primary school in Australia to offer an education based on Buddhist principles. We see our school as a vehicle for change. As an opportunity to nurture the wise and compassionate adults of tomorrow. A place where education stands for more than academic achievement alone. Every day, our students happily incorporate life-changing practices into their studies. Mindfulness. Meditation. Harmlessness. Conflict resolution. Environmental responsibility. Community and global awareness. And they still excel at their regular studies. At a time when Australian education is failing so many kids, our model is succeeding. Already we are seeing a new kind of student emerge at our school. Open-hearted and considerate. Mindful of their impact on the world around them. Able to resolve conflict with compassion. Guided by a clear sense of what is right. It’s all good. Except we need to move. Urgently. We’ve outgrown our old school and urgently need to move. To put down new roots on land recently purchased. Build a new school. And continue the good work already achieved. And we can’t do it without you. Balanced, happy, compassionate children. Our best hope for the planet’s future. 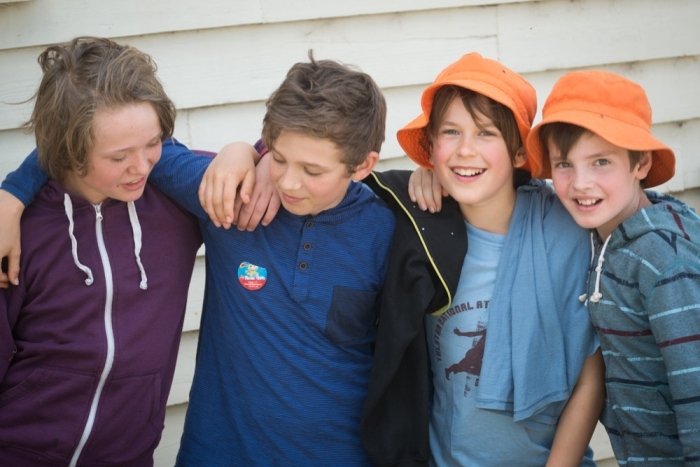 The Daylesford Dharma School offers new hope for our children. A new model for education imbued with the ageless wisdom teachings of the Buddha. A school where all actions are inspired by loving kindness, compassion and universal responsibility. A world where tomorrow’s leaders – community, business, political and spiritual – learn to work with wisdom for the good of all. It’s a noble vision. But we can’t create it alone. It’s not a small amount we’re after. To build a new school we need to raise in excess of $1 million. So every dollar counts. Join us and a growing group of like-minded people and help become an agent of change. 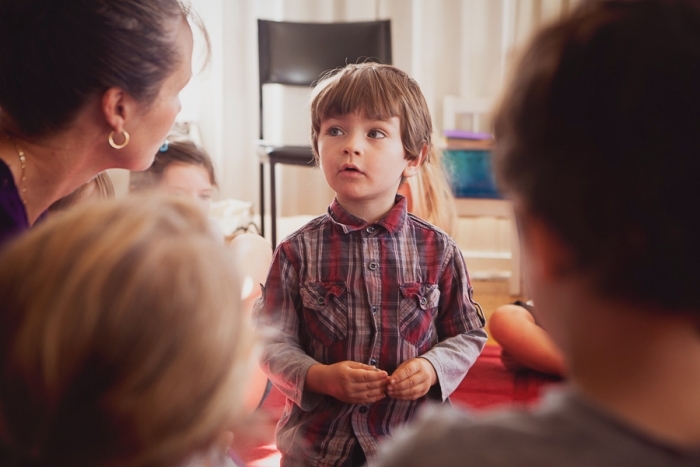 Even our youngest students learn to think, act and speak mindfully. 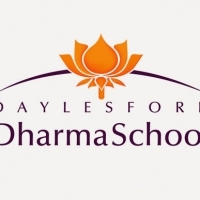 The Daylesford Dharma School was founded in 2009 by Buddhist monk Geshe Konchok Tsering. Geshe works under the spiritual guidance of His Holiness The Dalai Lama and continues to guide the principles and progress of the school. Buddhism is acknowledged as the second largest religion in Australia yet is currently represented by only one primary school. The essential practices and principles of Buddhist teachings – such as right intention, right thought and right action – provide an excellent foundation for an educational model that offers deeper and broader outcomes. By giving to our building fund you provide the promise of something bigger than another school. By giving you help create a model for a new wholistic approach to education. By giving you contribute to a better future for our children and the world around us. Please give generously. Many thanks and blessings! Live to be kind. Learn to be wise. Meditation, mindfulness and a thirst for wisdom go hand in hand. Help seed wisdom and compassion to the next generation of adults to be. Please support Australia’s first Buddhist-based primary school, open to all. * $9,217 in offline donations included in total. Get in touch with Help nurture the seeds of change.